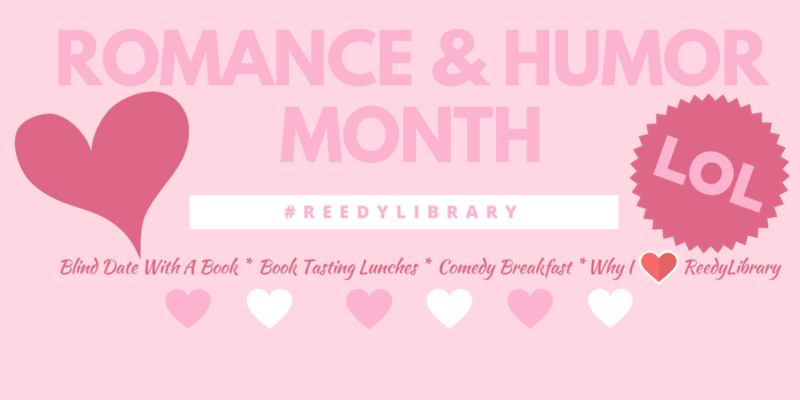 February is Romance & Humor Month in the #ReedyLibrary! We are spotlighting the Romance & Humor genres and we hope our Lions will come and check out a book or two. The first week we are doing Blind Date With A Book, followed in week two by Book Tastings during all lunches all week. The Library Club is hosting a special Comedy Breakfast the third week for readers who participate in Blind Date with a Book. The last week in February we will ask lions to post to social media with something they love about the #ReedyLibrary on social media. It’s going to be a great month celebrating two awesome genres of books!